New Delhi (IANS) The video streaming market in India has exploded — thanks to Reliance Jio — with 65 per cent of video consumption coming from rural India that has only 40 per cent Internet connectivity, says TV Ramachandran, President, Broadband India Forum (BIF). According to him, the viewing habits have changed and digital service providers — from Netflix to Hotstar — are bombarding users with original videos-on-demand, threatening the very existence of cable TV with a set-top box. 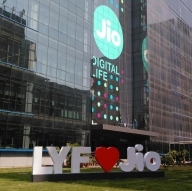 “Unlike the common thought that urbanites are watching more content online, 65 per cent video consumption is coming from the rural parts of the country thanks to cheap data plans, especially from Reliance Jio, and affordable smartphones. Those who cannot afford to buy a smart, connected TV are now streaming OTT content on phones,” Ramachandran told IANS. On a question about the debate of providing a “level-playing field” between the telecom service providers (TSPs) and digital service providers, Ramachandran said it holds no merit. “Telcos have the network and data while OTT players are software-driven platforms. Telcos need to build a synergy with OTT players. There is no question of ‘level playing’ field as these are two different entities. “An OTT player cannot become a TSP but a TSP can become an OTT player so it is actually the other way around. OTT players who have low-entry barrier can actually demand a level-playing field as TSPs strive to enter the original video-streaming space,” noted Ramachandran.